The country’s envoy to Cameroon paid a courtesy call on Minister Laurent Serge Etoundi Ngoa on September 20, 2016. The Ambassador of Israel to Cameroon, His Excellency Ran Rigor has expressed the need to support Cameroon’s informal sector with sustained technology transfer through incubators. The diplomat was guest at the Ministry of Small and Medium-size Enterprises and Social Economy on September 20, 2016. He informed Minister Laurent Serge Etoundi Ngoa that the informal sector was the backbone of his country. “Israel is a small country with inadequate manpower. 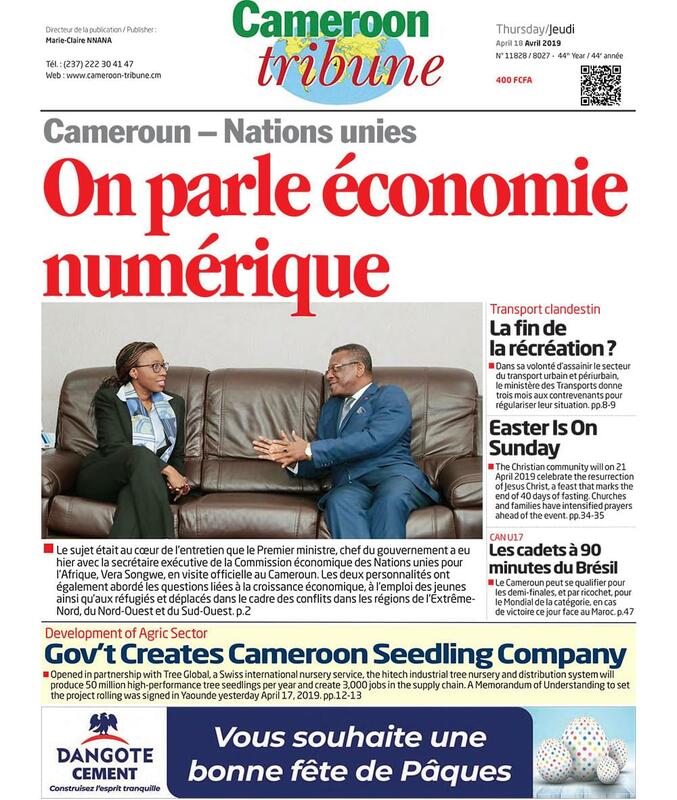 However, we have a very successful and prosperous economy based on the informal sector,” Ran Rigor said, stating that; “I came to suggest cooperation in order to deepen our bilateral ties and also share technology experiences with startup companies in Cameroon.” The embassy will work with incubators across the country if all goes as planned. Ran Rigor listened to the Minister explain how the economy of Cameroon is structured. The country’s economy was not only hinged on large scale enterprises, but also on small and medium-size enterprises. “Our cooperation has been based on transfer of technology but the Ambassador has expressed the wish for strengthened ties. We agreed on working with startups and incubators in universities in the domains of Information and Communication Technologies, agriculture….,” Laurent Serge Etoundi Ngoa said. Technology in Israel is advanced and Cameroon will adopt the approach to develop the country’s informal sector.